Gleny Rae - Kampot Writers Festival 2017 "Courage" Kampot Writers Festival 2017 "Courage"
A country girl with an international heart, Gleny Rae Virus is a multi instrumentalist and educator who believes that music can build community and improve lives. She straddles a teaching and performance career just as easily as riding a quarter horse on a stock route. 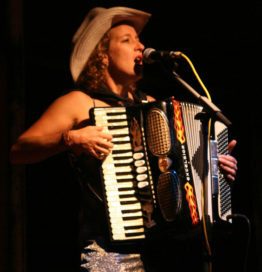 Gleny Rae Virus maintains her connection with outback Australia, playing gigs from outback shearing sheds and rodeos to international showcases in Nashville Tennessee and Austin Texas. She is an active advocate for refugee rights since appearing in the ground breaking television reality documentary Go Back to Where You Came From in 2011. 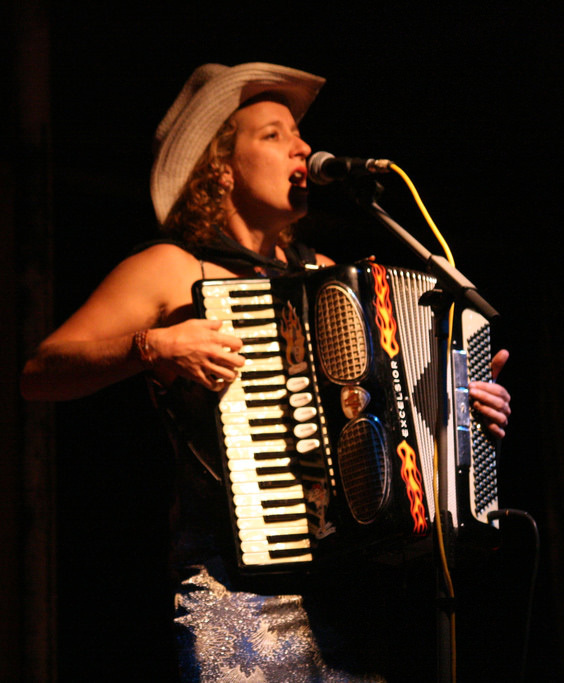 Armed with a fiddle, accordion and a irreverent sense of humour, she performs and records with numerous Australian country roots bands when not busy with her own projects Gleny Rae Virus and her Playboys, The Junes and Daughters of the Rum Rebellion.